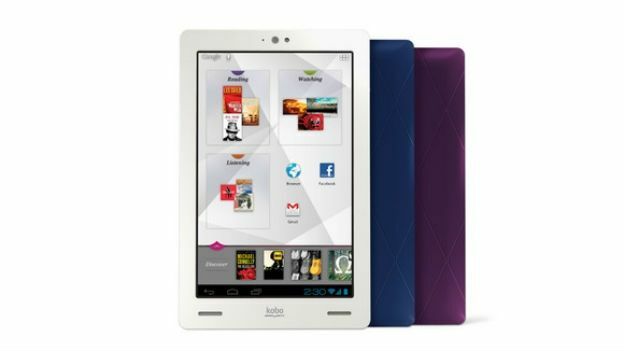 Kobo working on new 10-inch tablet? Canadian company Kobo is believed to be working on a new 10-inch Android tablet, according to a posting revealed on a benchmarking website last month. The site, GLBenchmarks, carried an entry for a Kobo Arc 10 HD that offered up a 10-inch display with a resolution of 2,560 x 1,600 pixels. Specific details are still unknown, although suggestions for internal specs include a 1.8GHz, Nvidia Tegra 4 ARM Cortex A9 quad-core processor and Google's 4.2 Jelly Bean OS on board. Kobo might not be the most well-known tech brand on the shelves - but the Canadian company has been turning out e-readers and e-books for a few years now. Kobo itself is an anagram of 'book' - see what they've done there? The company already offers one tablet, the 7-inch Kobo Arc that was seen as a lesser competitor to the Kindle Fire HD and the Google Nexus 7. However, with Barnes & Noble's Nook tablet line-up in dire straits, this could be an excellent time for Kobo to come out swinging with a new device. Unfortunately, it's all just speculation at this point - we'll keep our ear to the ground for any new developments. Which iPad is the right iPad for you?